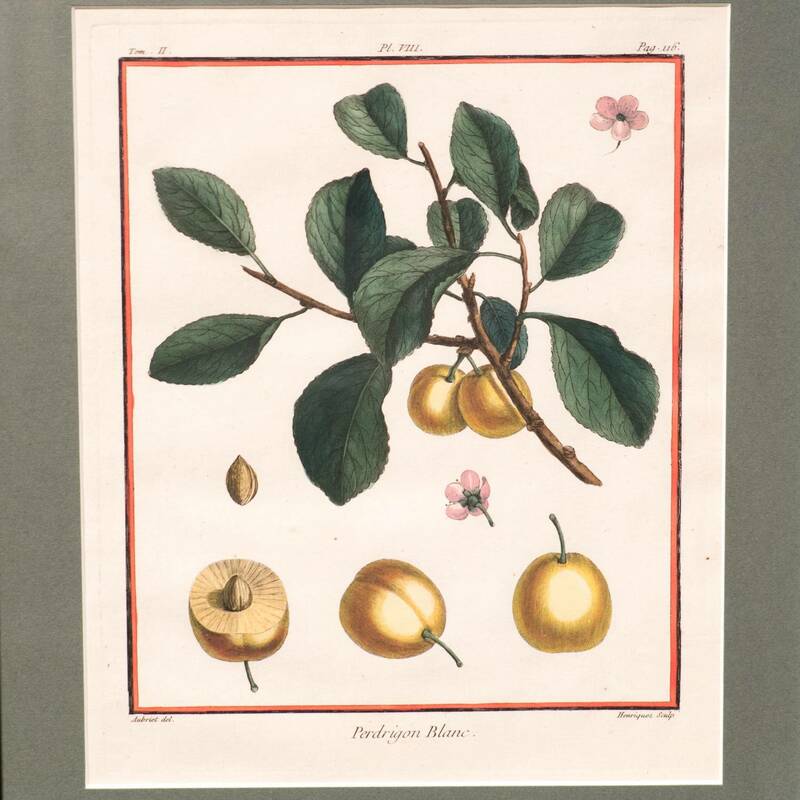 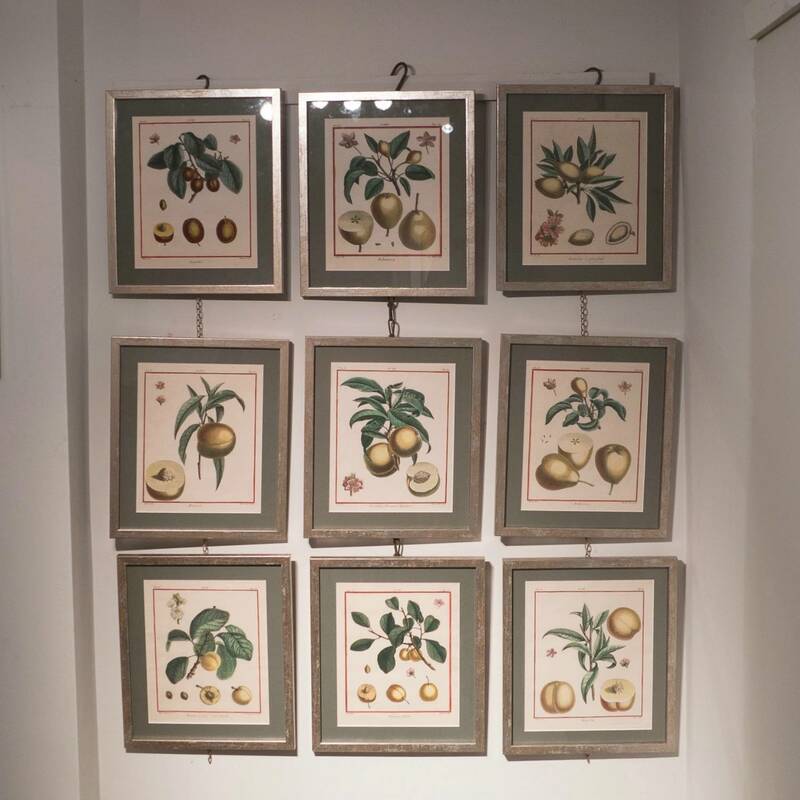 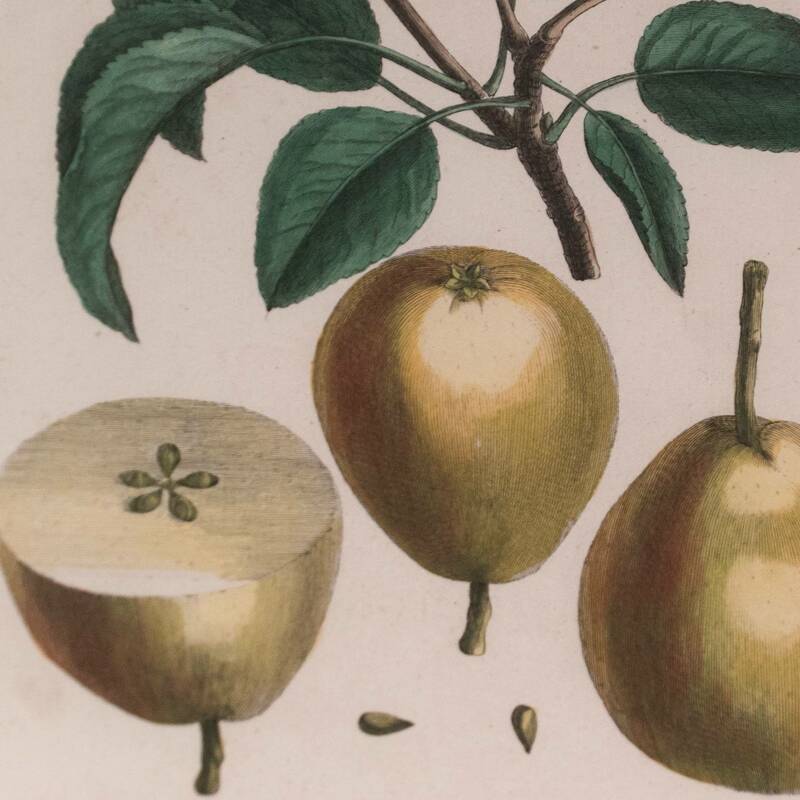 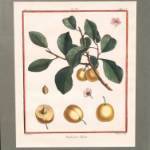 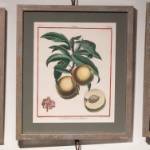 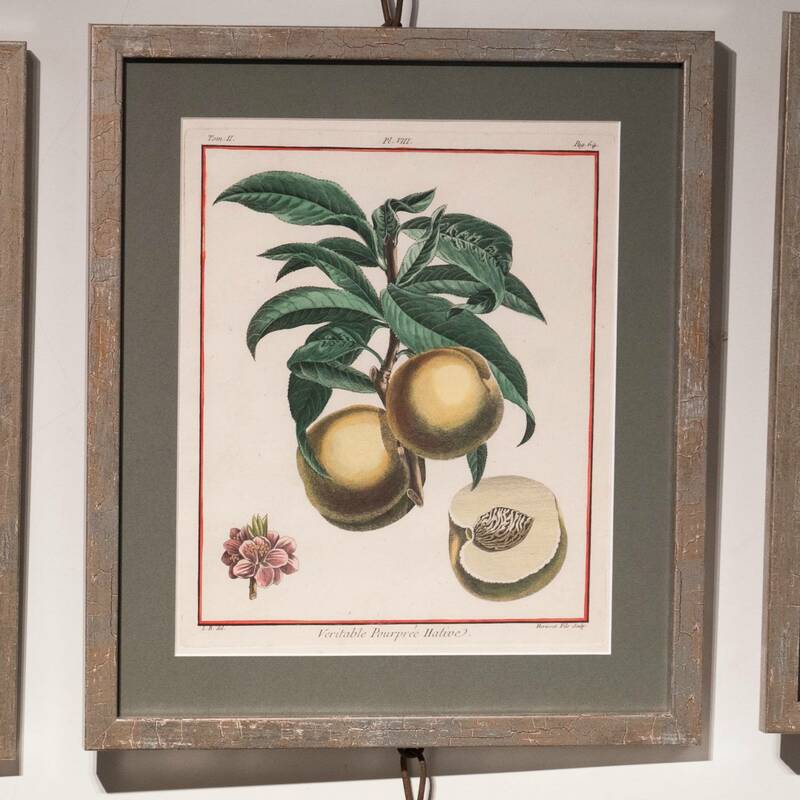 A collection of 12 French 18th century botanical fruit copper engravings on rag paper by Buchomel. Later coloured. 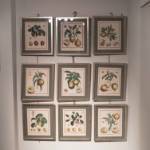 £185 each.